Three years ago today, the Once Upon a Time pilot aired, bringing some much-needed magic to primetime network television. I will admit; I didn’t watch the show that first night. But I caught a marathon of the first seven episodes on New Year’s Day 2012, and it was love at first sight for me. I knew from the opening of the pilot episode that I was watching something special, and I know I wasn’t the only person who felt that way. And three years (or almost three years in my case), dozens of plot twists and new characters, and far too many hours spent analyzing this show later, so many of us still feel that way. And that’s something worth celebrating. Once Upon a Time and Nerdy Girl Notes are intrinsically linked. The day I first watched the show was also the day I made the resolution to start this website. In no small way, Once Upon a Time has shaped the look and feel of NGN more than perhaps any other piece of media I’ve written about. 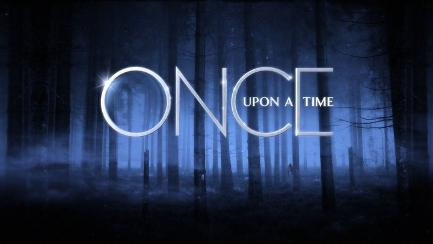 Nothing inspires me as a writer like Once Upon a Time (just in case you didn’t already know that from the length of my weekly posts or the number of essays I’ve written about this show), and I am forever grateful that I found a show to write about that challenges me the way this show does with each new episode. Once Upon a Time has taught me to write from a place of optimism and positivity. It’s taught me that it’s okay to acknowledge flaws, but it’s also important to acknowledge the good stuff—and there’s always good stuff. It’s helped me see that writing for me is a lot like magic for this show’s characters—it’s all about emotion. I write my best when I write from my heart, and Once Upon a Time celebrates the beauty and power of approaching everything with an open heart. Because of that, this show has undoubtedly made me a braver writer. It’s helped me feel like it’s okay to wear my heart on my sleeve, and I know for a fact I’m a better writer because of that. Once Upon a Time inspires me as a writer, and it also inspires me as a person. This show has such passionate fans because we relate to all of these richly-developed characters for reasons as unique as we are. These characters are parents, children, grandparents, siblings, friends, leaders, and lovers. They’ve dealt with grief, heartbreak, self-doubt, and abandonment. In our favorite characters (and even the ones we don’t always love), we see reflections of our struggles, our joys, and our journeys. I see my own quest to define myself by who I am and not who I once was reflected in characters like Regina, Hook, and even Red. I see my hopes for the kind of love I want to find—a partnership of equals that makes you feel strong, supported, and happy—reflected in the story of Snow and Charming. And I see my belief that strength doesn’t always have to be physical to be important reflected in characters like Belle and Aurora. Once Upon a Time has given me and so many other young women a group of female characters to relate to who are all incredibly strong but show their strength in vastly different ways. Three years ago, I would have laughed if you would have suggested that Snow White would become a fictional role model of sorts for me, but that’s exactly what happened when I started watching this show. Snow is exactly the kind of woman I hope to be: someone who understands that the world can be dark and unkind but never stops believing that there is good in the people around her and that goodness is worth fighting for. In Once Upon a Time’s version of Snow White, I was given a beautiful reminder that it’s not just okay to be hopeful and warm-hearted when the world wants you to be cynical and cold; it’s heroic. At its heart, Emma’s story is a story about love in all of its forms—familial love, romantic love, and learning to love yourself for exactly who you are. More than anything else, Once Upon a Time is a show about love. It’s a show that isn’t afraid to say that love is strength when so many other forces in the world want to tell you it’s weakness. And whether that love is between parents and children, husbands and wives, or pirates and princesses (or thieves and queens), it’s beautiful because it’s all about hope—hope that we can all find our own happy ending and become our best self in the process of finding it. This entry was posted in About Me, Fangirl Thursdays, Television and tagged about me, essays, fangirl thursdays, nerd musings, once upon a time, television by Katie. Bookmark the permalink. As you know, I didn’t watch this show until recently. In fact I saw a couple of random episodes long ago, and found the whole thing kind of random (well yeah, starting with random episodes without even knowing what the show is about isn’t the best idea!) I would never have believed that it would become my favorite show. I love the detail and the care that the showrunners take with every aspect of what they do. There are so many little things. In some shows it seems like things are being foreshadowed or set up for the future, but then it turns out that the showrunners didn’t even notice or remember. But on Once even the smallest details are (usually) deliberate and significant. I feel like I could watch over and over and catch different details. And the quality of the cinematography is excellent – it’s an exceptionally beautiful show with so many wonderful messages of love and strength. And a damn fine looking cast! lol. It’s nice to watch something that emphasizes love as strength, that doesn’t wallow in nastiness, even though there’s plenty of evil, that draws on so many positive emotions. It’s nice to watch something fantastical that still speaks to real life. Stories are the lifeblood of humanity and bringing these old stories into new contexts is amazing. Telling them more fully (with all their complexities), interconnecting them, using the happy ending as a starting point – brilliant! The characters are just so good too! Both the ones that are easy to love and the ones that are difficult to love or that we love to hate. Everyone has such complexity – even the worst bad guys have reasons why they are who they are. I am so glad you brought up the cinematography!! Its one of my favorite things about this show. I don’t think I have ever watched a TV show before where I was thinking to myself “wow, this scene is gorgeous” or “what a great scene transition!” but I think that all the time watching this show. I remember some scene cuts just as vividy as plot points they are that good! Lovely tribute Katie! I had no idea your ‘Once’ love and the site were born on the same day! I actually started watching the show from its premiere. I am pretty sure it was on some critics choice lists for new shows to watch, and it sounded intriguing, and it starred that girl people said I looked like back when she had brown hair on House and I didn’t wear glasses all the time. So I thought , why not. I am a cynic by nature. This was not a show that seemed “me” in any way shape or form, but from the very first episode, I immediately connected with Emma Swan. I don’t think I have ever had such a strong connection to a character before or since. Emma’s reservations to what was happening in the show were my exact reservations about the show. It was obvious from the first episode that this show had something to say, but they weren’t going to be too serious about it. They weren’t above making fun of themselves, and that’s why the show works for me. I loved the first season, and by the finale I had somehow turned into a hopeful romantic. That scene where Charming and Snow reunite was one of my favorites (the fantastic score helps too). I kept saying to myself, this should be cheesy, I should be rolling my eyes, but I wasn’t anything but genuinely happy and fulfilled. And then I realized this is a show I should hold on to. Season two was a little rougher. I still enjoyed watching, but I wasn’t as fully engaged, except for a few choice episodes (Tallahassee, Manhattan) and then the season two finale happened. We got a glimpse of sincere Hook and I had character #2 I was fully invested in. Then of course, Season 3 came a long. I thought the premiere was fantastic, and my obsession ramped up from there. I started devouring every piece of media I could find about the show. And this is when I started feeling lost. All I kept finding were surface level recaps, snarky scarsam, and complaints about the plot being “too slow”. I started to wonder if anybody who watched this show actually liked it and appreciated a little thing called known as ” character development”. And then I found NGN. Immediately i thought, finally, someone who understands! 3A was such a gift, and it was great to find people who loved it for the same reasons I did. Its been about a year since I first started commenting here, and I have had such a blast. You know I live “Sunday to Sunday”, but I am also grateful to have found people that get me through the rest of the week with humor, positivity, and enthusiasm for something we mutually love. Thank you again Katie for all the heart and soul you put into your Once related content. It never goes unappreciated by me. And thank you to the OUAT writers for creating a character like Emma Swan, who is damaged, and cautious, and likes to tell bad jokes, and fight for people, who has trust issues, can rock leather jackets and pink dresses, who REALLY enjoys eating, who still finds amusement in the obsuridty that is her life, who sometimes wants to take the easy way out, who is terrified of being vunerable, and who, despite everything she has been through, always hopes deep down that things are going to turn out for the best. That’s a character I relate to. This comment is just so wonderful and heartfelt and beautifully personal. I want to frame it and give it to Eddy and Adam and JMo to show them just how much their characters and their show in general mean to people. Everything you wrote about Emma was so sweet and wonderfully detailed, and I love how much this character means to you. I knew we were coming up on your one-year anniversary of commenting here at NGN, and I am so thankful that you found us and decided to stick around. Not only did we gain an articulate commenter and valued part of our little OUAT family; I gained a friend. Well Once is my all time all time favourite by far. I’ll always remember a quote I heard by Joss Whedon about sci-fi/fantasy, he said it in an interview on an Angel DVD special features, I can’t find it quoted anywhere. He said something along the lines of “Great fantasy uses settings that aren’t real, to tell us real things about ourselves as humans”. Once encapsulates this at an above and beyond level, of course. It would appear most of us are struck by just how dynamic and emotional and human these characters are. Caring for these characters. Like some other people here, I didn’t see the premiere the night it aired but downloaded the first episode maybe within a week and a half. Which is rare because normally seasons have gone by before I jump on a show’s bandwagon. Since Once had Lost’s writers I gave it a chance and the rest is history. I was all in after the first episode and especially after the all kinds of awesome 1.02 and 1.03, but a lot of this must have been by instinct since it took me years before seeing the whole picture. Like just how much Emma related to my own life and struggles with trust and emotional walls, or the struggle with belief many characters have. It also took me a while before understanding just how intelligent their visual decisions were or how well paced the episodes were to make them focused and entertaining. And of course it took some time for the extent of its plot and backstories to take shape, though it was clear from the start especially for us fans of Lost, that flashbacks with these characters back to their past connecting in a complex way was going to be real good. I could tell from the beginning that like in Lost it was exceptionally good at making characters face each other 1 on 1 and talk to each other. Yet even for its immense strengths in emotional complexity and making people connect to it, there’s even so much more that the show does well, because everything the creators/writers do it contains love for their work. They put so much strong thought into the entertainment side of the show, from how they build individual episodes, to factors like the costume colour choices and score, to putting in humor and charming lines when it gets the chance. To building an entire world of backstories in Enchanted Forest, etc. Whatever they are doing with the actors it is wonderful, with so many great performances that fit the material so well. I suspect one of the ways they pull it off is being better at casting actors than just about everyone else, it’s clear with a lot of these actors, the role connects to a part of who they really are. And I also love how when it comes to its themes, it’s not just about hope and redemption and true love, but showing the opposite as well such as love you have to work for like Emma and Snow or Regina and Henry. Or showing a surprising edge when it comes to characters falling into darkness or falling victims to bad choices or habits. The dark side of the show and failures of characters to belief, helping illuminate the power of it means when someone fights for light or makes progress towards believing. I have to admit it I just eat it up with Once has dark decisions and characters, which is one of the reasons I liked the second half of S2 more than most. This comment brought me so much joy. Thank you very much for taking the time to share your love for this show with us! I’m pretty sure I have been watching OUaT since the first episode but it wasn’t until season 3 that I really became invested. I loved the re-imagined fairytales and there were a lot of characters I loved (particularly Emma and Red) but this show didn’t really click until partway through 3A. To be honest, if it weren’t for your reviews, I would have given up after s2. During 3A, this show went from one I would watch late in the week whenever I had a chance to one I always watched live. The decision to split the season into 2 distinct arcs probably played a role. It let the plots be a little tighter and it stopped being a fairytale-character-of-the-week show. It got more focused on the core set of characters, particularly Emma and her emotional journey to accept her role as savior and find a home. Also, Emma’s “good” comment to Hook in the s3 finale had me all in on that relationship and gave me way too many feelings and thoughts about them and now I can write ridiculously long comments in reply to you. Probably not coincidentally, 3A is also the time these reviews started taking off in popularity and I found myself sucked back into a fandom, which automatically increases my enjoyment of a show. The community you have created here and all of the enthusiastic and intelligent commenters that stop by regularly always make me happy. I look forward to reading everyone’s opinions on Monday nearly as much as I look forward to the episode. It’s given me a fandom home, which I don’t think I’ve had since AI, and I’m extremely grateful to it and you for creating such a fantastic space. I am so happy that my reviews played any small role in helping you stick with this show, especially during its roughest points. (We never speak of the Home Office.) I love that you and I can write long comments to each other about Emma and Hook or just text each other paragraphs of feelings; this show has helped us grow even closer as friends, and I will always be thankful for that. I’ve made no secret that I found NGN at a time that was particularly dark for me. The authentic voice you bring to the things that inspire and move you is infectious. It inspired me to write again about the things I was truly passionate about and reinvigorated a piece of myself that had gotten lost in the shuffle that is day to day life. The idea that Once Upon a Time is linked to this wonderful clubhouse gives me even greater joy. I was in for Once Upon a Time the moment someone said creators of LOST. A cynic in my daily life, I had my reservations about a show about displaced fairy tale characters under a curse. However, as a fan of Into the Woods I remained uncharacteristically optimistic about the show’s prospects. Then the premiere happened and with the simple retort “Truthfully, the coffin gave me pause” I was in. Here was a show that understood who it was and some of the absurdity of its setting yet instead of ignoring it, it leaned into it and owned it. And there in the lesson lies. Once Upon a Time is infectious because it is a story about characters who own who they are – for good, for bad, for flawed. For me the show feeds into the many truths I feel and experience as a parent. The relationships between parents and children on this show are exceptional. They take the very real conflicts, tensions and love that drive the desire for acceptance and approval and tell them through these fantastical plots. All parents are flawed and often we feel as though we can not match the ideal we’ve set in our heads for what our family should be. Snow, Charming, Rumple, Neal, Emma and Regina have all given me moments that I so deeply related to over the course of the three seasons. Independent of outcome there isn’t a parent on Once Upon a Time that hasn’t acted in the belief that they were doing the best for the child in question. Emma’s pain when she considers in season 1 that Henry would be better off without her. Regina’s composure when Henry doesn’t have his memory and looks through her without love. Emma’s realization that equally parallels Regina’s when she goes back to the Enchanted Forrest. They all matter because as a parent, the pain we feel is in the fear we’ve made the wrong choice. I’ve often cried around the pivotal moments of parenting throughout this series. Rumple’s confession at Neal’s grave however was straight to the heart. As a single parent I’ve been through moments of self doubt, concern and fear that I couldn’t possibly be worthy of this perfect little creature only to have that moment when you realize you can. That in spite of the mistakes you make you can do it. What Once Upon a Time offers up week in and week out is the nuanced complexity of human emotion and the search for dignity through the power that love can bring. As one of the people who often sits on the different perspective perch of OUAT conversations here at NGN it has been a wonderful space to express not only my ideas and point of view, but to have a dialogue and be welcomed for that perspective. I’ve often talked about my protectiveness of the positive space from which you built and cultivate here at NGN. I am protective of it because I feel like I am one of its biggest benefactors which is never clearer than our OUAT discussions. I can be honest, detailed and effusive and what I get in return is respect and robust conversation from a collective of individuals who love the show and show me things I didn’t (and wouldn’t) have ever seen. I know you appreciate how rare it is to have spaces like this where the discussion is bold, candid and sincere. I am simply grateful. Grateful that like OUAT, NGN is about family. It’s about a family of fans who feed off the hope, spirit and authenticity that is kickstarted by your writing and your positive passion. Not a week goes by that I am not deeply grateful for this corner of my world. It brings a light that had been missing and has illuminated joy. After a very long day (and a very long week), I’m reading this comment with a mug of tea in my hand and a surely ridiculous smile on my face (and perhaps a few tears, too). I’m just so overwhelmingly grateful to have you as a part of our little NGN family. You bring such a wonderful perspective to our Once Upon a Time discussions—that of a parent. It’s a part of this show that I can’t relate to yet, so I love getting your take on all of the show’s rich and complex parent-child dynamics. I love that we both fell in love with the show at the same moment—Snow saying the coffin gave her pause. It was such a lovely way to state that this show was going to own exactly what it was. And, as you said, we’ve come to see that it’s a show populated with characters who own who they are or are in the process of learning how to do that. That’s been incredibly inspiring for me to watch at a time in my life where I’m just starting to learn how good it can feel to love yourself and have people love you for exactly who you are. I’m honored to think that NGN was something that came into your life when you needed it and has helped you in any small way find joy. When I sat down to watch that New Year’s Day marathon, I knew I wanted to start a blog about the media. But after spending seven hours watching Once Upon a Time and falling in love with it, I knew what I wanted that blog to be—a place to celebrate the things in the media that make me feel genuinely good and happy, because I’d just found a new show that made me so happy and I wanted to talk about it with anyone who would listen. If my joy that was inspired by Once Upon a Time could inspire you, then I say my mission has been accomplished. I feel the same way as the others. I adore this show (so much that I’ve actually taken the trip to Steveston, BC). It just feels magical. I found your recaps after the Season 3 finale, when I was reading everything I could about the characters and as I’m rewatching the show, I’m going back and catching up. You are a huge highlight of Monday mornings and thank you for your time and amazing recaps! Thanks so much, Christy! I’m so happy you found NGN because I really look forward to reading your comments every week. And that’s so cool that you went to Steveston—it’s on my fangirl bucket list!